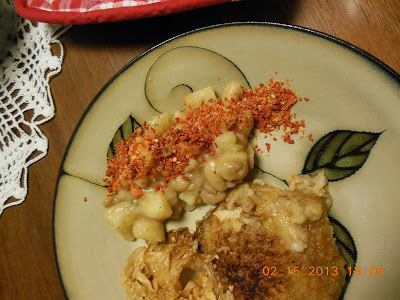 We are like many others, relearning about and enjoying real foods, rustic food if you will. My favorite style of rustic food (after our own countries specialties, of course) is Italian. They are among the best in simple ingredients, cooked well and served with pride. Everyone is familiar with macaroni and beans, and this rendition is none the less delicious! Cooks notes and possible words of wisdom: While this was originally a soup, I was in search of a side dish and the flavors as well as the rustic nature were right there. 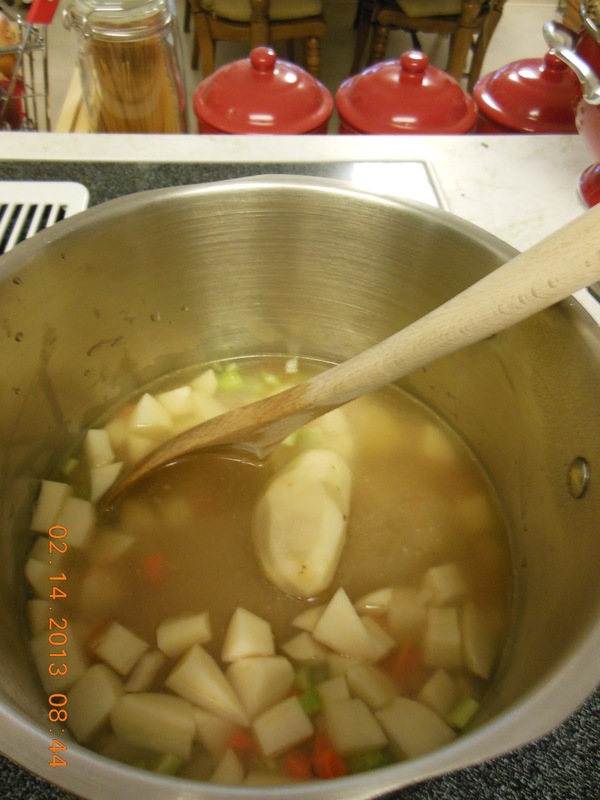 For a delicious soup, add more water, it is that easy. In a large flat pan, saute the garlic and onion until wilted and fragrant. Add celery and carrot, saute for a minute more. Add all of the potatoes and the chicken stock. 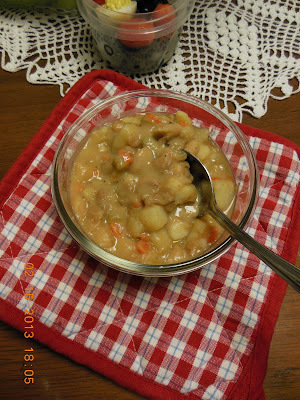 Bring to a boil, reduce heat, simmer until potatoes are tender. Remove the large piece and mash well, return to the pot and stir into the broth. Add the beans, simmer additional 10 minutes. Stir in the oregano and fresh ground black pepper to taste. If the pan sauce seems too thin, boil off a few minutes to thicken. Serve with the Tomato Serendipity on the side for each to flavor as wanted. Looks so creamy and delicious! This makes a lovely meal, Melynda! This dish sounds delicious as a soup or a side dish - I like how versatile and flavourful it is.